Ergonomic furniture refers to furniture that is used by people to ease the pain of repetitive stress injuries. Computer desks may serve as ergonomic furniture. 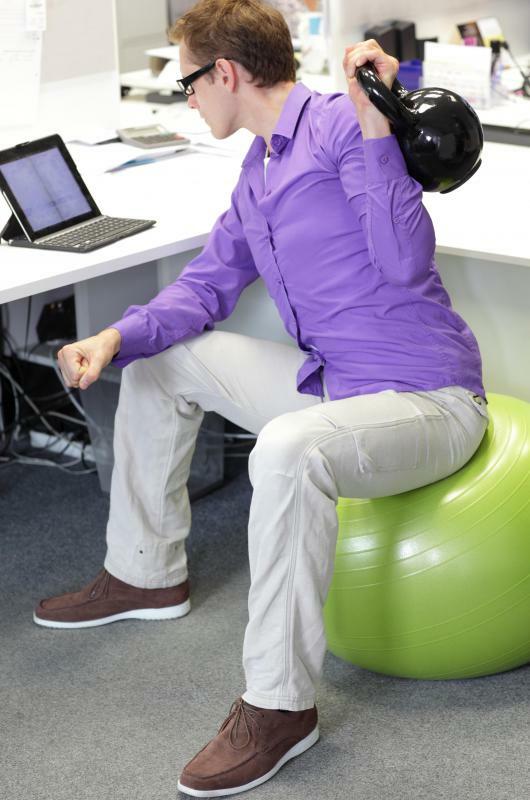 Ergonomic furniture can help combat worker fatigue and promote productivity. Ergonomic furniture is any furniture item — a chair, table, or desk — that's designed to allow someone to use the furniture without suffering from repetitive stress injuries. Those who design furniture ergonomically follow a set of scientific principles that help people use the furniture in a way to remain healthy, while maximizing performance. Essentially, any piece of furniture that is designed around the science and study of ergonomics would be considered ergonomic furniture. Ergonomics, also called human engineering, is the study of how the human body works and interacts with objects. Ergonomic study results are used in designing methods and equipment that allow humans to perform their work efficiently, comfortably, and safely, both in the short term and long term. For example, an ergonomics study might involve determining the best method of performing of a repetitive task, such as cutting beef. The study might focus on avoiding short-term fatigue to muscles that could lead to injury and to avoid long-term damage to joints and tendons from repetitive stress. This kind of furniture is designed in line with the results of ergonomic studies. For example, an ergonomic chair would be designed to ensure that the person sitting in the chair is using proper posture. The chair would have a 90-degree seat back angle and with lumbar support for the lower back, to avoid stress on back muscles or long-term damage to the spine. An ergonomic chair also would offer adjustable features, ensuring that different-sized people can adjust the seat height to allow them to sit with their feet flat on the floor and with their knees at a 90-degree angle. Even the design of adjustable armrests can contribute to the comfort of an ergonomic chair. The equipment in use doesn't have to actually touch the worker to be considered an ergonomic furniture piece. A desk or a table can be designed as a piece of ergonomic furniture, too. For example, an ergonomic desktop should be at the proper height for the worker, so she doesn't have to stretch or slouch uncomfortably to work on the top of the desk. If computer equipment will be used on an ergonomic desk, a keyboard shelf should be at the proper height and the display monitor should be angled correctly as well. When computer equipment is involved, using this type of furniture is particularly important. Chairs, desks, tables, and computer equipment all should work in tandem to ensure the safety of the worker. 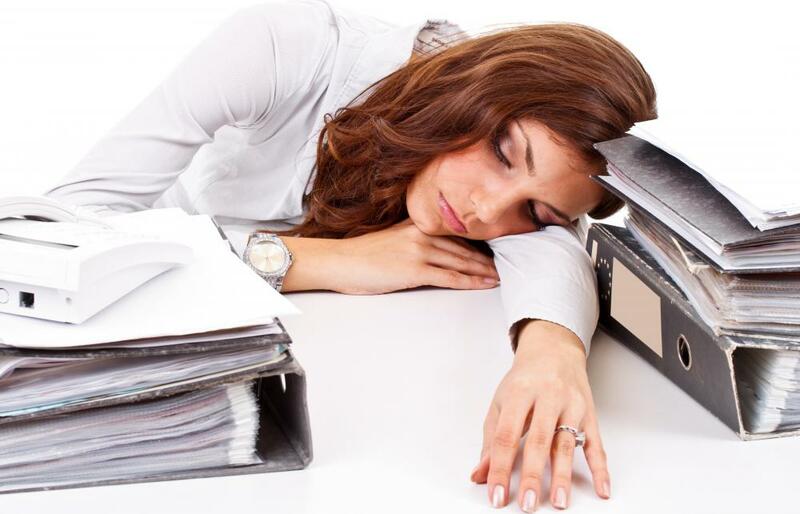 Repetitive stress can be a serious health problem for computer workers who tend to sit and type for long periods of time. 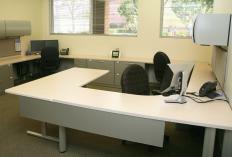 Using ergonomic furniture can help prevent repetitive stress problems. Even if you purchase ergonomic types of furniture, you may want to consult with an ergonomic specialist to make sure that it is appropriate for your body type and the type of work you'll be using it for. An ergonomic piece of furniture alone does not protect against repetitiveness stress injuries — you have to have it configured properly as well. If you want more information on ergonomics, you might want to check out the U.S. Department of Labor findings on ergonomics and ergonomic furniture. Conducting a search for "OSHA and ergonomics" should help get you there. What is an Ergonomic Table? What are the Basics of Ergonomic Chair Design? How do I Improve my Desk Posture? What are the Different Ergonomics Jobs? What are the Different Types of Ergonomic Office Furniture?